This combo offer is for a SIX PACK of Hero Pup 120 mini discs. Colors are based on availability and awarded in mixed fashion. The Hero Disc type 120 is the best performing mini disc available. It weighs 23 grams and measures 120 mm from edge to edge. Unlike other mini discs the type 120 is very easy to throw long and straight. A great training tool for a small puppy. Available in a spectrum of colors: pink, white, purple,blue, green, chartreuse, yellow, orange & red. Color availability subject to change at anytime. 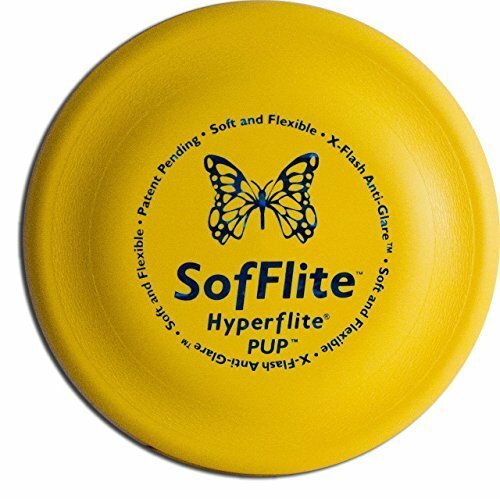 HyperFlite Jawz Dog (Pup) Disc - 7" DiameterFeaturing state-of-the-art aerodynamics, hi-tech polymers and patented gripping surfaces, Hyperflite Jawz Pup discs (made in the U.S.) are nothing less than professional-quality athletic equipment for the modern canine athlete. 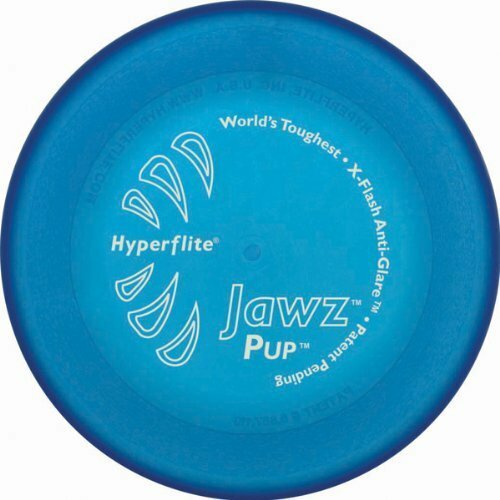 The Jawz Pup disc (7-inch diameter/85 grams) is the world's toughest competition-approved canine flying disc. 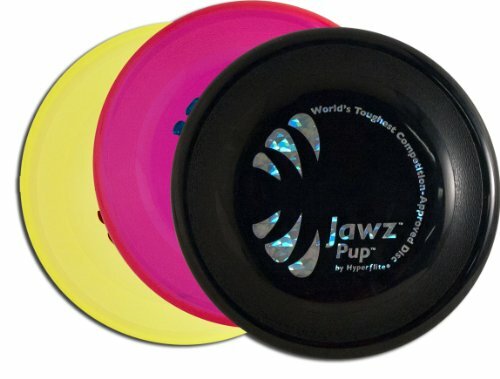 In normal play, competition or practice, Jawz Pup discs will prove incredibly durable. 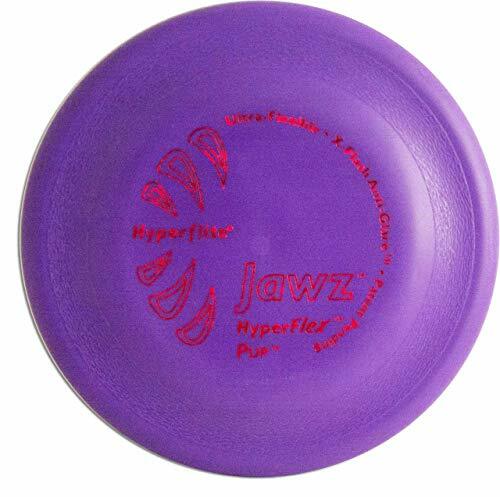 In the hands of a skilled thrower, Jawz Pup discs are capable of record-setting distance throws. Jawz Pup discs should not, however, be used as canine chew toys. 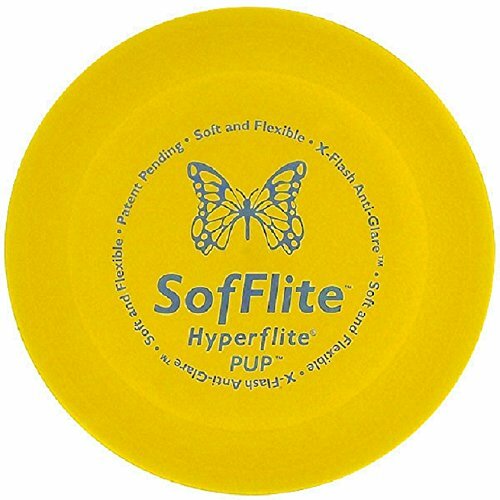 Featuring state-of-the-art aerodynamics, hi-tech polymers and patented gripping surfaces, Hyperflite Jawz Pup discs (made in the U.S.) are nothing less than professional-quality athletic equipment for the modern canine athlete. 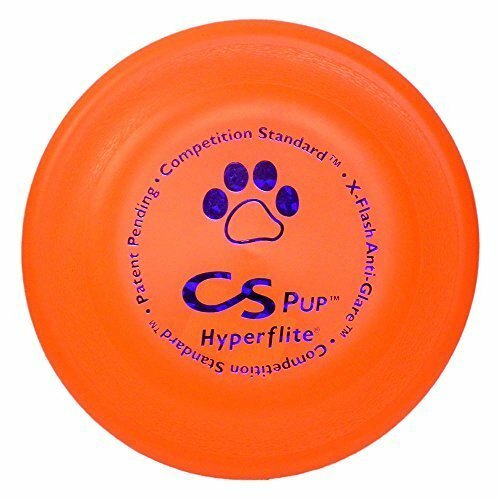 The Jawz Pup disc (7-inch diameter/85 grams) is the worldÕs toughest competition-approved canine flying disc. 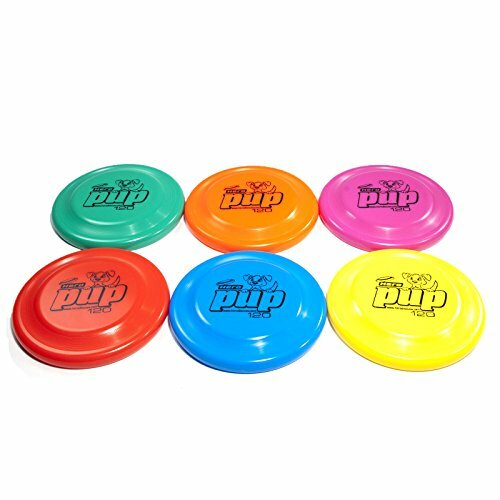 In normal play, competition or practice, Jawz Pup discs will prove incredibly durable. 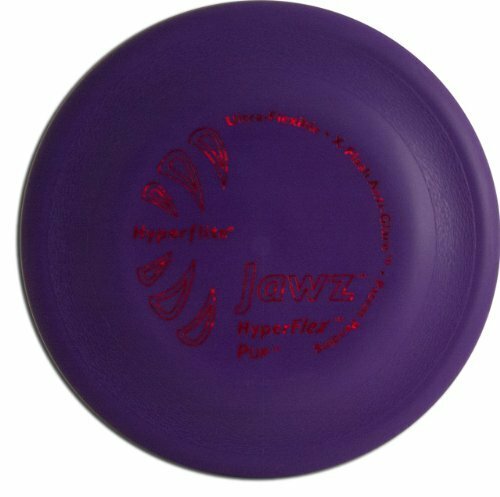 In the hands of a skilled thrower, Jawz Pup discs are capable of record-setting distance throws. 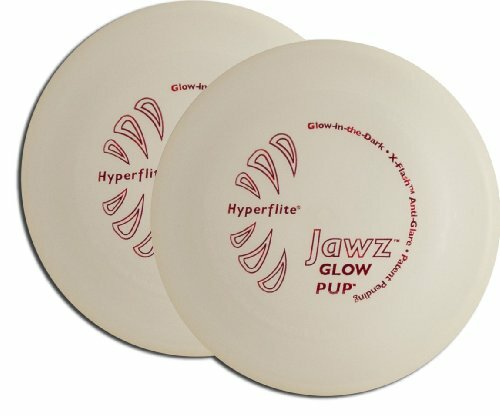 Now, with the Glow Jawz Pup disc, you can play all hours of the day or night! Jawz Pup discs should not, however, be used as canine chew toys. 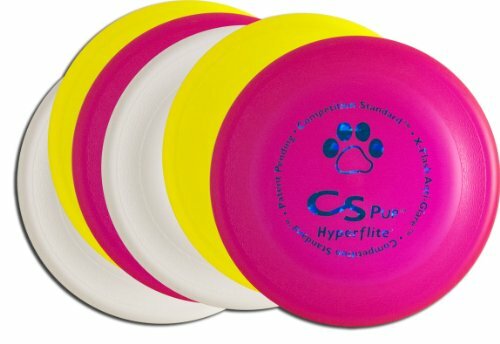 Hyperflite K-10 Pup discs are approximately 30-percent smaller than the original K-10 series and were designed with the small canine in mind. K-10 Pup discs feature improved aerodynamics to ensure great flight.